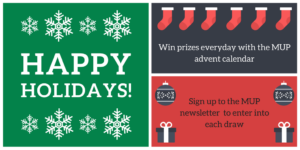 To celebrate the holiday season, we are giving you the chance to win a prize every (week) day with the MUP advent calendar, starting Thursday. All you need to do is sign up for the MUP newsletter below and you’ll be entered into each draw. Prize winners will be drawn live each day and announced via our blog, Twitter and Facebook and notified by email. 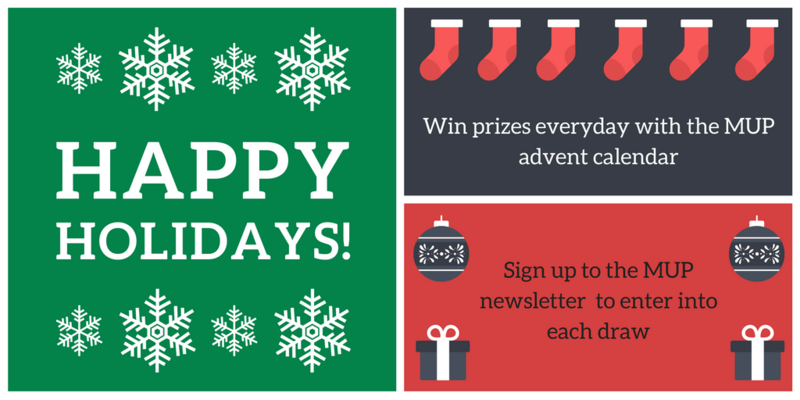 Click here to see what prizes are on offer! Category: Blog, Book Prize	0 Comments.